Stir-fried chicken with red curry paste, bamboo shoots, fresh basil, and coconut cream. *Please note, our Vegetarian dishes may contain fish or oyster sauce. 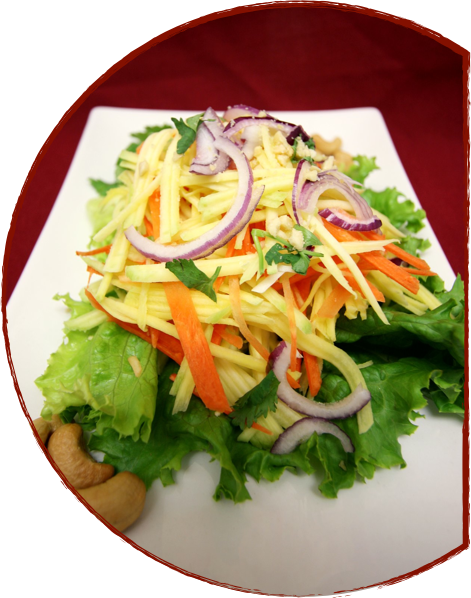 All Rights Reserved ©2011 Royal Thai Cuisine.